We all want to lead a healthy, happy life—but not everyone in our world is fortunate enough to do so. Disease, poverty, and social injustice are a burden on society. But humans are amazing enough to realize this and step in when there are serious problems. The word “charity” means so much more than offering money to those who are sick or in dire circumstance. Helping anyone in need comes from a place of benevolence and love. And it’s benevolence and love that leads to the creation of nonprofit organizations. 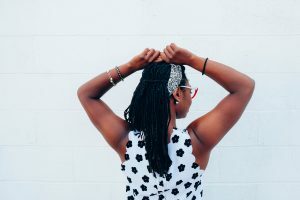 There have been TONS of notable public figures and organizations who use their visibility for good — and still plenty who do to this day. Fame provides a strong voice for celebrities and inspires the people who follow them. Using that voice to help humanity with charitable efforts is a powerful way to help humanity as a whole. 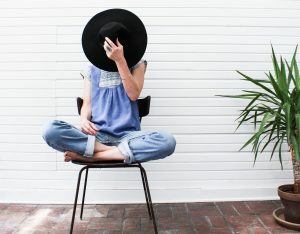 If you work for a nonprofit, love to volunteer, or are someone who just wants to help society, these are 4 leaders to admire and some lessons to take from them. 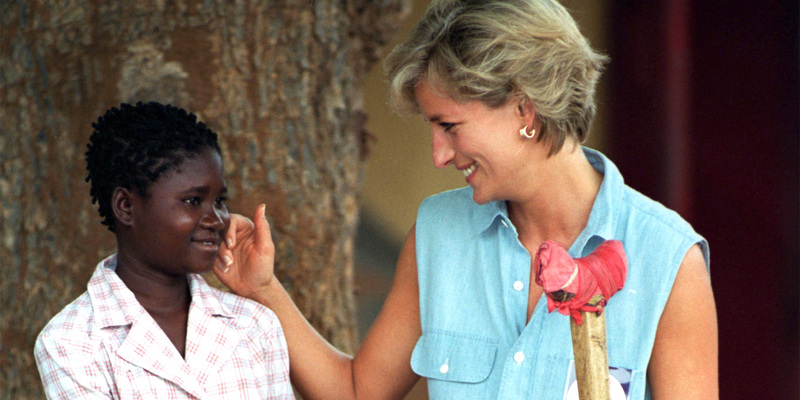 One of the most adored members of the British royal family, Princess Diana of Wales is fondly remembered today as the “People’s Princess.” Spectators around the world watched as she devoted most of her time to global humanitarian efforts. Humanizing the monarchy was a specific goal that she made her mission. Historically, royalty often seemed stiff and reserved. Princess Diana saw a chance to change this image by being in touch with the public on a personal level. As a patron of over 100 charities, she made a massive impact on those she helped. Using her platform, she helped to raise better awareness about HIV/AIDs, homelessness, and sick children. The late Princess opened many different centers for the sick and homeless. Millions of dollars were raised by her efforts before her death, and still are to this day with her two sons championing her causes. Those that are suffering do not need to suffer alone. Compassion and affection go a long way in creating a better world. Contributing time and funds to a cause that might carry stigma behind it can change the attitudes of those that have not yet felt the desire to help others in need. Speak up when others lack understanding and advocate for everyone in society. To serve and give your time is a humbling experience. That’s right—the actor with the most famous blue eyes in movie history is a philanthropic figure. As a beloved actor from the 1950’s, Newman was a household name for many years. After retiring from film in 2007, he stumbled into giving back without even planning for it. Salad dressing made by Newman and a friend was loved so much by friends and neighbors that they decided to bottle and sell it. After profiting over $300,000 in sales, Newman launched the idea of giving all after-tax profits away to those in need. He kept no personal compensation from any of the food items sold. 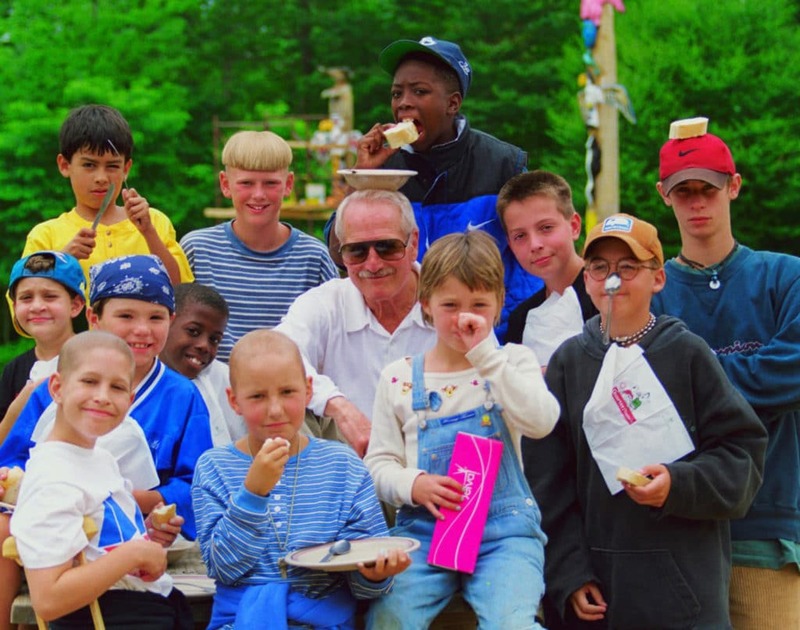 His most beloved charities were those that help children and the environment, which led to the creation of “Hole in the Wall Gang Camp.” To this day, sick children are able to have a fun and inclusive camp experience thanks to his generosity. Random events can have a beautiful outcome. Newman didn’t realize making salad dressing as a Christmas gift one year would lead to over $500 million dollars donated to charities around the world. Small acts of kindness can make a huge difference. 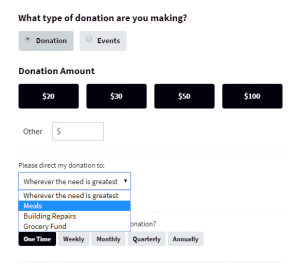 Create a product and put on a sale of some sort, then donate proceeds to a favored charity. Who knows? Maybe your concoction will take off and you’ll be able to serve your community and build a solid donation base like Newman did. Known for her classic films like “Breakfast at Tiffany’s” and “My Fair Lady,” Audrey Hepburn devoted her final years to those in need. In post-World War II Holland, a young Hepburn received help from the UNRRA (United Nations Relief and Rehabilitation Administration) and felt that she owed her life to them. The UNRRA saved her from starvation, which left a permanent impression on her. It later inspired her humanitarian efforts, and Hepburn became a UNICEF Goodwill Ambassador in 1988. Once she became a UNICEF ambassador, she visited Ethiopia to bring to light the shocking and terrible condition the country was as a result of famine and war. Her initial mission inspired several others, during which she helped immunize children and gave them the gift of love. Hepburn used her famous name to raise awareness for the children without a voice. 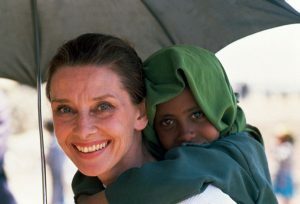 Posthumously, Hepburn’s son and her life partner founded the “Audrey Hepburn Society” under UNICEF. One very important lesson to take away from Hepburn’s charitable work is that it is never too late to do something good for others. She only spent a few years with UNICEF before her passing, but she did so much in those few years! She made her time count for the children in third-world countries that needed a voice. Don’t let age, money or time deter you from helping others. Volunteering is a great way to spend your free time and give back to those in need. Who doesn’t know Bill Gates? After all, this article is typed using software from a company he co-founded — Microsoft. At one point, he was known as the richest man in the world with an estimated net worth of $90.6 billion dollars. Alongside at least another 170 billionaires, Bill Gates joined Warren Buffet in “The Giving Pledge,” a pledge to give half of their income to charity. With the help of his wife, Gates established the “Bill and Melinda Gates Foundation” in 2000. Their foundation aims to help address healthcare, poverty, and expanding educational needs within America. 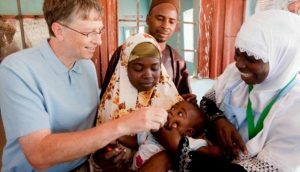 Giving away $4.6 billion dollars to charity, Gates may be one of the richest men in the world, but there is no denying he is one of the most giving. Not everyone can give away billions of dollars to charity. But Gates also didn’t have to give billions to charity. He chose to do something valuable with the money he has, and that says a lot about his character. Whether or not you have tons of money, you can follow Bill and Melinda Gate’s mission statement: seeing the equal value in all lives. Rich, poor, sick or healthy, everyone deserves a quality life. A general lesson to take away from these peoples’ stories is that helping others is beneficial to society. We are all living on the same Earth together. Let’s make it easier for one another by loving, helping, and guiding one another in the right direction when things get tough. We all know life isn’t always easy, but it IS easy to help each other.